Avoid some common blogging mistakes that many bloggers do as this will help you in the long run. I remember once I said to one of my friends that I have started a blog for an online living. But with no surprise he ignored it. Then I gave examples of some well-established bloggers and showed their income report too. Finally, he told, this might happen. He was not wrong. Many new bloggers fail in their initial stage itself because they are not committing some basic stuff while blogging. Apart from selecting a great template for your blog and a good and unique domain name for your blog/website, many other things are there on which you should focus and not make mistakes. No doubt, everybody makes mistakes, but one should learn from their mistakes. And learning from your mistakes will make you a leader in your respective fields. This is my personal experience. So in this article, I am going to tell you some common blogging mistakes that most of the blogger do, but to be a successful blogger you need to avoid that. They will update you with the latest trend in the blogging. They even help you while deciding the topic on which you can write. They can help you with the different tools/technologies that you should use to increase the traffic. They can also review your blog and can suggest to improve, if something is not correct. There are many more advantages of it, so i will suggest you to make at least some blogger friends and have some discussion with them at least once in a while. This is a very good practice. You can attract the advertiser. Advertiser mainly choose those website which is about some particular product. And here your blogging is your product. While writing on particular topic, you can make a base of your regular visitor. This will help you in getting the brand name. There are many other benefits also, which you can read here. ie. Even a complex story can be depicted with a simple image. So try to include images in your blog posts wherever necessary. Also, use appropriate title and captions for your used images. As you can see above, I have used a caption which tells why I have used that image in this post. The same applies to search engine also. If you will not use title and captions, the search engine will not crawl that image and indirectly you will lose some search traffic. And isn't that everything. So I would rather suggest to include few images, where ever required in your blog posts with proper title and captions. This is one of the common and biggest mistakes that a blogger does. They don't answer the reader's ask. In blogging, it's very necessary to build a relationship with your visitors. Especially the newbie bloggers should answer the queries raised by your readers. You only think, you visited any shop and asked for certain things and the shopkeeper didn't answer you. How you will feel? Probably you will not visit that shop again. The same applies to here also. If you won't reply to their queries, probably they will never return again and you will lose again your valuable visitors. Generally, most of the blogger think that whatever they have written is just great to read and not doing any editing to their post. But it's not true. Even if you have written perfectly the post while writing first time, still it needs editing. Just read once after completing your post and see how much editing it needs. So take some time around 20-15 minutes and edit the whole post. And then see the effect of it. It's always good practice to make a list of points which you should check while editing like grammar, font, color etc. No one is perfect and all do less or more mistakes. But the one who learns from their mistakes grows. So consider my above points to make your blog and blogging career successful. Apart from the above points, keep editing your posts depending on the requirements. Did We Miss Anything? Or do you have some more tips with you? We Are Eagerly waiting for your comments! 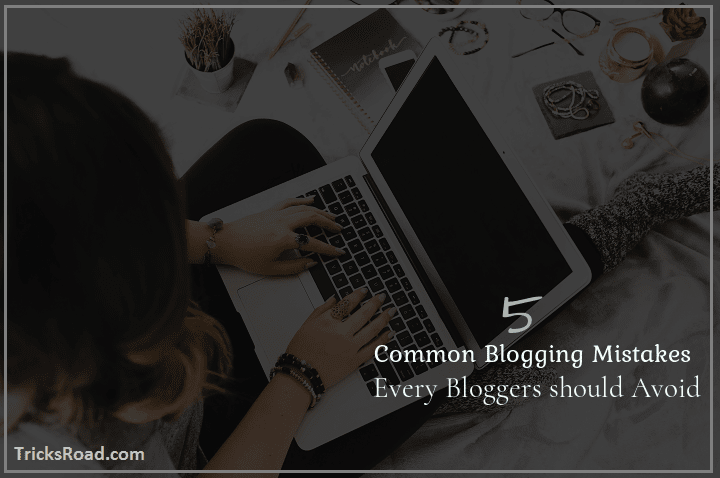 6 comments to ''5 Common Blogging Mistakes Every Bloggers Should Avoid"
I'm glad that it helped you. Thanks buddy!! Anybody is not perfect and all do mistakes. But the one who learn from their mistakes, grow up. Excately Riya. Everybody do mistakes but we should learn from our mistakes for a better tomorrow. This was something I was searching for. Making friends from the same profession is really helpful; we get to learn many things. I think we have already discussed about writing on a single topic is better than on multiple topics. I liked that post and I remember those points which you mentioned. Images and captions are necessary. Also, putting an ALT tag is essential, isn't it? I have visited blogs whose writers don't reply and I do get a feeling that they don't care for whatever we write or appreciate their work. Coming to re-reading the posts, yes I find many mistakes when I go through my posts again and again. Previously, when I started writing about core java I used to ignore reading it twice or thrice but now I do keep on reading the posts until I find it to be near to perfect! I kinda feel embarrassing when I read my older posts. There are so many mistakes which I need to correct. Thanks a lot Ashu for a sharing this great piece of writing. Enjoyed reading it. Have an awesome day ahead! Thanks Rohan and really glad to know that this article helped you. And of course for the Image SEO, Alt tag and Title are very important. 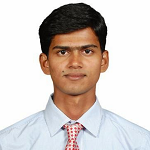 This will help to get crawled in Google Image quickly and it too gives decent traffic.